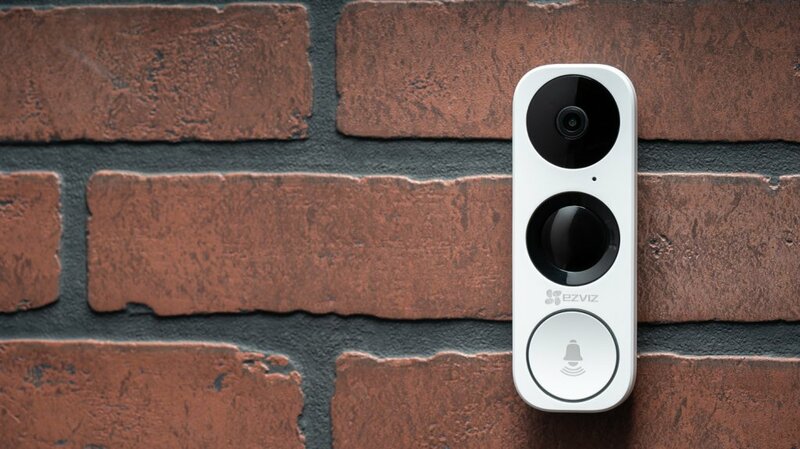 Without a doubt, the new darling device in the Smart Home community is the video doorbell. If you thought there were options before, this year’s CES proved that smart doorbells are (in the words of Mugatu) “So hot right now”. Love it or hate it, every Home Automation company involved in security or smart cameras seems to be working their way to the front of the home with a video doorbell. Personally, I actually like the movement of these budding companies to create ecosystems, instead of just one-off products with a few variations— the more options the better. This is where the EZVIZ DB1 comes into play; a video doorbell that joins the ranks of the growing number of connected security devices from EZVIZ alongside their smart peephole and a variety of smart cameras for indoor or outdoor applications, not to mention the devices on the horizon. By the end of the year, it won’t be out of the ordinary to see a smart door lock, smart alarm system and a variety of smart sensors added to the EZVIZ home security network if their CES showcase comes to life. But the real success of any device ecosystem isn’t in the promises of the future, but the performance of the present devices. After all, how many people fell into the Lowe’s Iris pit or got screwed over in the Revolv hub situation? 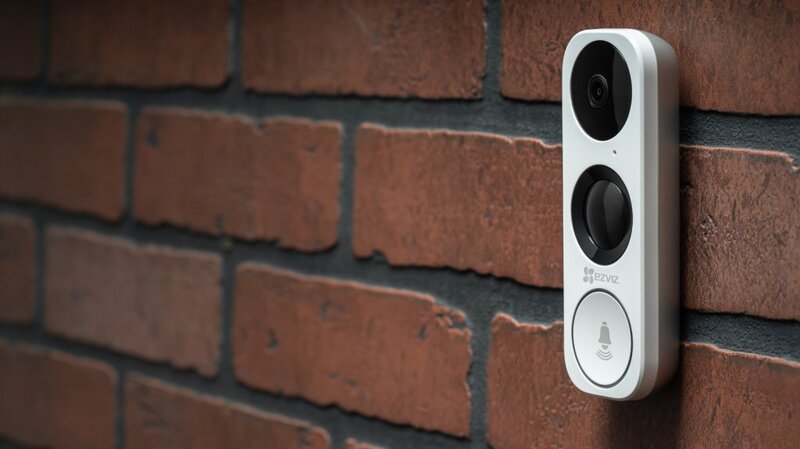 In all fairness, with my excitement about new video doorbells hitting the market I would be remiss if I didn’t mention that the growing popularity also comes with a huge caveat; they have to work well. While that might seem inherent to most, when a new class of devices makes its way onto the Home Automation scene there is a certain margin of acceptable error. As the market matures, silly glitches just can’t be brushed aside as “growing pains” of the category and can even mean doom for the device. While EZVIZ is a household name in the home surveillance discussion, their entry into the Smart Home world is a bit fresher. Nonetheless, it seems that they studied the market enough before jumping in to pack the DB1 with all the right specs to try and take a swing at the likes of the Ring video doorbell line or the Nest Hello, which have set the gold standard as we know it. With a 3MP resolution (2048×1536) and a 180° vertical, 105° horizontal field of view (FOV), the optics on the camera with EZVIZ’s smart doorbell are primed as a solid options to man the front door security post. Live view video, two-way voice intercom and mobile notification alerts for motion via the large passive infrared (PIR) sensor are all par for the course these days when it comes to video doorbells, and the DB1 comes with these features in-tow. Something unique to this particular smart doorbell though, is the eight-power digital zoom that is available. I’ve had experience with digital zoom in the past not providing quite the detail necessary to make it a super value to have, but EZVIZ has a history of surveillance prowess so I’m not scoffing just yet. Another emerging thread of similarity with smart surveillance cameras now is the option for custom detection zones, which allows certain high-traffic areas to be turned off while others are left to trigger the security alerts. When paired with the five-meter night vision capability, my impressions about this doorbell are beginning to become rosier and rosier. Naturally, having a weatherproof design is of utmost importance for any outdoor security camera, and the DB1 features an IP65 rating, meaning it is protected against dust, dirt, and water jets from any angle. One thing I’ve come to appreciate more frequently in my dealings with Smart Home devices is dual Wi-Fi connectivity on both 2.4GHz and 5GHz bands, so with this the EZVIZ is checking another box on my list. If you know even the slightest thing about building a Smart Home, you know that Amazon Alexa voice control is almost standard now in order to make something really functional, which this video doorbell has in the works in addition to IFTTT (If This, Then That) string control. The latter is what excites me, since I’m a fan of the full-picture Home Automation scenario where doorbell motion detection can trigger a nearby light to turn on (or any other compatible action). While a history of motion triggers with video snippets is available in the Android/iOs app, there is also an option to use a desktop app for EZVIZ to command the full home surveillance system from one interface on any device you choose. That is a unique feature that I haven’t seen on many other smart surveillance devices thus far. This is also one of the few video doorbells with local storage in the form of a MicroSD card. 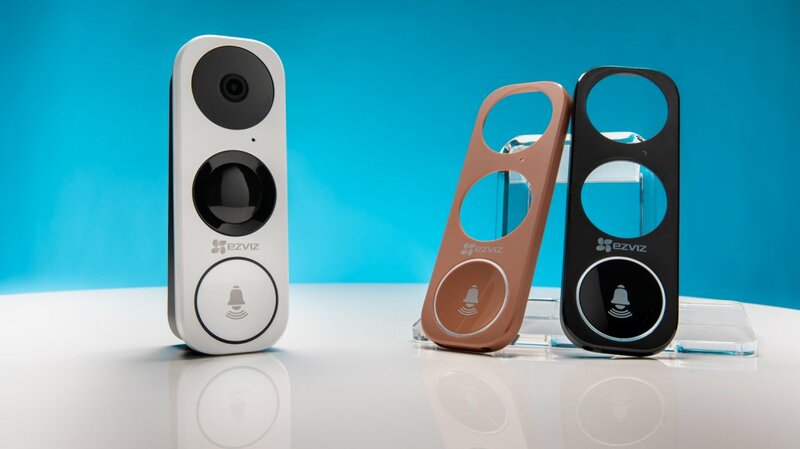 In the package, the $189.99 EZVIZ DB1 comes with white, black and brown faceplates for users to match the doorbell appearance with their home color scheme without painting. From the texture and material of the faceplates though, I would venture a guess that these are also paintable for those who want an exact match. Also included with the video doorbell are a few angled mounting plates; one up/down, one left/right and one flat plate are available for those with odd entryway setups who need to do a little modding to get the right view of visitors. Things get really cool and customized for those who have a FireTV, Echo Show or Fire Tablet and want to get a view of their EZVIZ video doorbell feed. By using the Alexa command, users don’t need to whip out their phones to check the app or hop on a computer, but simply call up Alexa to get a live video feed of the front door on the tablet or TV, which is pretty cool. I look forward to seeing this in action when EZVIZ adds this via an update. First, make sure you have a 16V doorbell transformer, which is common with many standard doorbell systems. If your current transformer is less than 16V (10VA) you will need to switch it out, since the video doorbell requires additional power. This is an example of an appropriate doorbell transformer that can power the EZVIZ DB1, although there are plenty others that would work. Unattach the current wires that are on the “TRANS” and “FRONT” terminals on the chime, and use the included power adapter kit to attach the new connection wires to the “TRANS” and “FRONT” terminals. Connect the previous wires to the appropriate sides of the new harness. Download the app, pair the device, and you’re set! The EZVIZ materials instruct users to wait three hours after installation before use or the chime might not work oddly enough, but I had no trouble with it booting right up. When in use, the DB1 (short for doorbell one) has all the functionalities you would expect from a smart camera these days, and they seemed to work just fine without any glitches that I noticed. One thing that seems to be sometimes tricky with smart cameras is the use of PIR motion detection. I’ve found that sometimes the devices work far too well and trigger recordings with motion on the street 40 feet away, and cranking down the sensitivity can sometimes prohibit them from coming on at all. Since the unit is hooked up to the existing doorbell chime, you don’t have the option for customizing the sound from the chime itself like other electronic chime video doorbells or peephole cameras, but users are able to have a noise play upon motion detection on the exterior unit. This alerts visitors that they are on camera, and hopefully would deter any sketchy characters from questionable behavior. When checking the video doorbell at night, the viewing distance in an intermittently-lit setting (like from a front porch light, street lights and other neighborhood lights in otherwise darkness) the visibility is surprisingly good. I was rather shocked by the distance that was clear, out to about 30 feet. During use in daylight, depending on the location of the camera (like many smart cameras) you can have mixed results. If there is an overhang near the camera blocking direct sunlight, this can provide good illumination for the details to shine through but also result in a washed-out background in the brighter areas beyond any overhead object. One thing about the DB1 that I noticed is the fish eye-style of the video display in the app. Because of the wide angle (180°) FOV that the camera offers, the feed is bowed out at the midpoint of the display and around the edges. While it does serve the purpose of capturing from floor to ceiling footage, it can be a bit annoying to see everything in that format. The other small gripe that I have with the feed display in the app is that it is shown in a circular format, which seems to emphasize the fisheye effect. I do know that other smart doorbells (the EZVIZ DP1 smart peephole we tested along with those) that have wide-angle video which displays in a normal rectangle in the app, so I’d prefer to have the option of viewing like this as well. Customizable alert settings and notification schedules are also a plus, especially when considering that this is a common feature on most smart cameras these days. Some of the more popular video doorbells on the market now don’t offer this, so the EZVIZ DP1 has an interesting angle here. Which is Better, Wireless or Wired Video Doorbells? With the variation in models available for Wi-Fi video doorbells now, the question begs to be answered; which style of power is best for smart doorbells, wired or wireless? While there are solid options that fall under each category, both have some criteria to consider. For most applications, I would say the wired video doorbell is the way to go. With a retrofit job to replace a traditional doorbell a chime is already in place, the wiring is run (and if the transformer needs to be swapped out for a larger capacity it is a simple process). 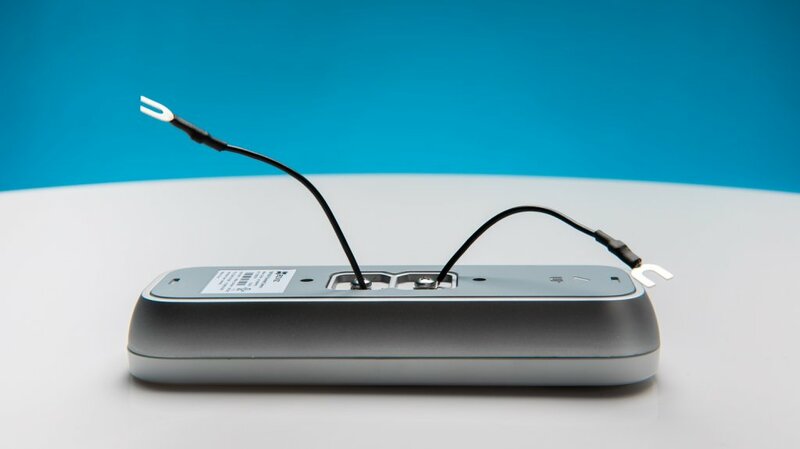 Also, with a wired video doorbell the design is generally sleeker and lower profile, since a battery compartment isn’t necessary to power the unit. Without needing to replace or recharge batteries, it requires no maintenance to keep the surveillance device monitoring the front door. When it comes to apartments or homes with built-in peepholes, WI-Fi peepholes are a growing option for those who cannot or don’t want to modify their home space. These also have an indoor-facing screen to display the video feed from the camera for easy viewing, which is an option that wired video doorbells (or even non-peephole smart wireless doorbells) don’t have. At the risk of sounding cliche, the comparison between video doorbell options sometimes depends just on the use case. With this growing market, it isn’t always based on price or brand, but with the new options available unique features now come into the equation. With the DB1 video doorbell, EZVIZ has added yet another smart camera to their growing Home Automation ecosystem. 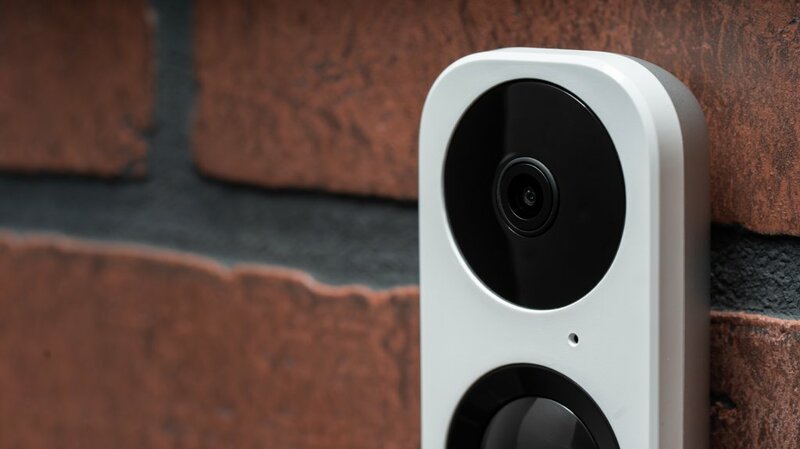 Unlike some of their past, more “surveillance-style” Wi-Fi cameras (like the Mini 360 Plus), the DB1 feels like it has been carefully constructed to compete in the changing world of smart doorbells with new features that are practical. As the market evolves we will undoubtedly begin to see more brands take the route of Ring, Nest and EZVIZ with a growing number of smart devices added to their assortment with a centralized control hub. Later in 2019 we can look to see more connected security devices from EZVIZ hit shelves and the race for whole-home control will be on. 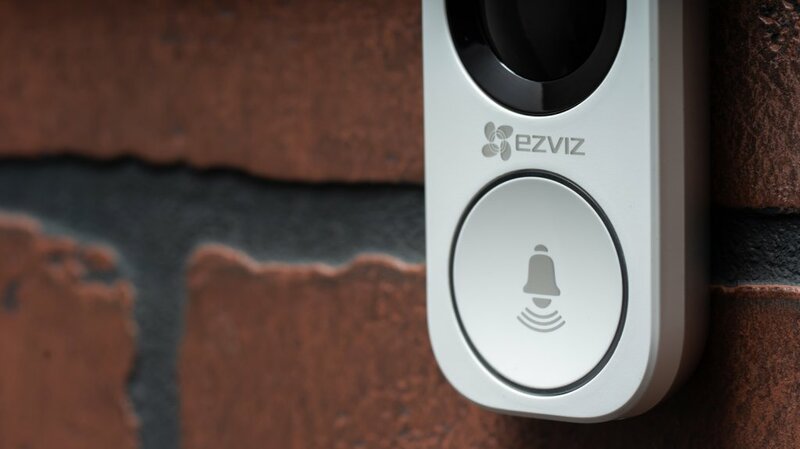 The well-known surveillance company EZVIZ launches another smart camera aimed at tackling the front door security with the DB1 video doorbell. They have their sights set on more than just the connected camera space, though. ??? How is this unit different from the RCA HSDB2A for $149 on Amazon? They look identical and seem to have the same features. WiFi based anything is inherently unreliable. I only buy products that are intended to work no matter what. A good sign of such a product is PoE. Not this one obviously.